It’s been brought to my attention that you folks may have been busy with Christmas etc in the last month, and not got around to designing a cover for our BeBook competition, so lucky you, I’m now extending the date by TWO WEEKS. Yes, two more weeks to come up with a cool cover for a BeBook, and win yourself a free one and a trip to Amsterdam. Can’t say fairer than that, eh? I know you’re aching to get your hands on the fabulous BeBook, and we’ve partnered with them and StylzWorld to offer you that chance. All you need to do is design a cover for the BeBook, and not only will you get a BeBook of your very own, but you’ll get your cover created, sold, and a trip to Amsterdam to boot. Now that’s what I call a mighty fine prize. So how do you do this? 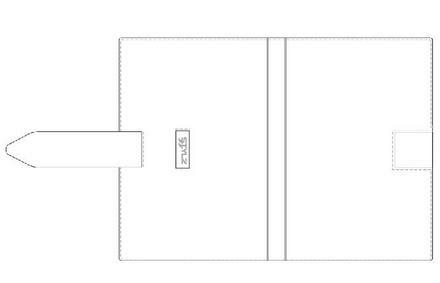 What you need to do: Design a luxury case for the BeBook e-reader. Use the template above (it will expand when clicked on) or create one of your own. You can use items like this for inspiration, or the pic above to help inspire you. The design can be of anything you like, from pink fluffy brocade, Hello Kitty insignia to crystals. The price of materials should not cost more than £75 though, so if you use crystals make them diamante, not 5 carat diamonds. 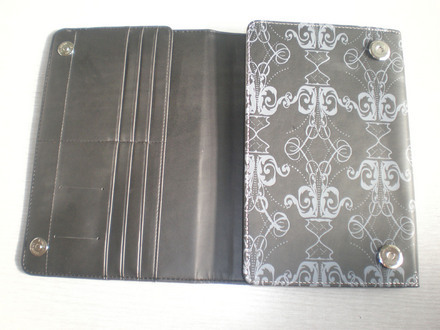 Prize: A BeBook eReader, your own designed luxury case, a trip to Amsterdam to collect your prize. Email your design to this address by the 2nd Feb, and include your contact details! 1.This competition is open to UK residents. 2. No purchase necessary. To enter, email your design to this address. with BeBook Design as the subject matter. 3. The winner will be the best entry chosen on Feb 3rd. The promoter reserves the right to re-choose if the prize winner cannot be contacted within a reasonable period of time (to be established at the Promoter’s sole discretion).